Shigehisa Takada: "We offer our condolences to the those who lost their lives and to those who suffered injuries." TOKYO -- Takata Corp. expressed condolences on Tuesday to victims of its faulty airbags linked to at least 16 deaths and 180 injuries around the world, but stopped short of offering a full apology. "We offer our condolences to the those who lost their lives and to those who suffered injuries," Shigehisa Takada, CEO of Takata, said at the company's last annual shareholder meeting as a listed company. The meeting came a day after Takata, facing tens of billions of dollars in costs and liabilities following almost a decade of recalls and lawsuits, filed for bankruptcy protection in Japan and the United States. As part of the arrangements it will be largely acquired for $1.6 billion by the Chinese-owned U.S.-based Key Safety Systems. 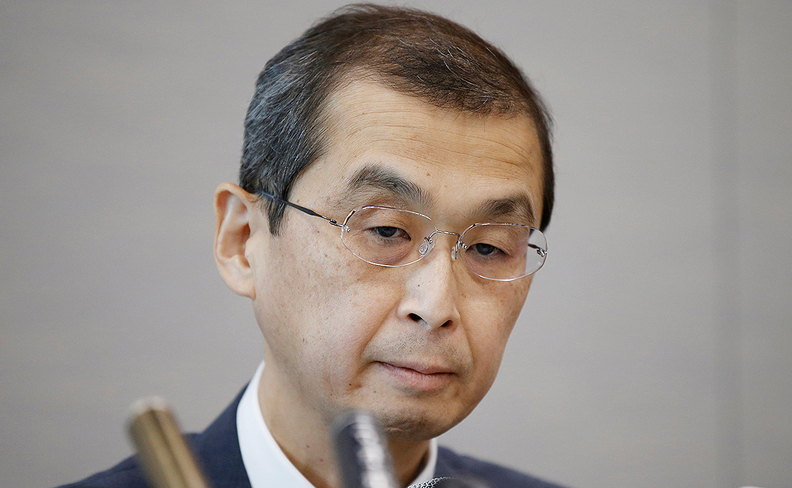 The grandson of the company's founder, Takada was criticized in the Japanese media for failing to address victims at a press conference announcing the bankruptcy on Monday. It was his first media appearance in more than a year and a half. At Tuesday's meeting, he joined other executives in making a deep bow of contrition for the lives lost and shattered by the company's defective airbag inflators. Most victims were in the United States. "I was told that I shouldn't cause any bias and that I should leave it to others," Takada said, responding to the criticism. "I too felt shame about this." Takada "was full of excuses," said one investor in her 40s from Tokyo. "Constantly blaming the media and those around him, it's not surprising things ended up like this," she said. The ammonium nitrate compound used in the airbags was found to become volatile with age and prolonged exposure to heat, causing the devices to explode with too much force and spray shrapnel into vehicle compartments.